Save 10% off when booking 21+ days in advance, valid for 2 or more night stays. Reservation is fully pre-paid and non-refundable. Reservations must be made online; not available for call-in reservations. Guarantee Policy: 100% of reservation required at the time of booking, fully pre-paid reservation, non-refundable, non-cancellable. Cancellation Policy: Fully pre-paid reservation, non-cancellable, non-refundable. General Policy: Minimum check-in age is 18. 4 adults per room or 2 adults and 3 children per room. 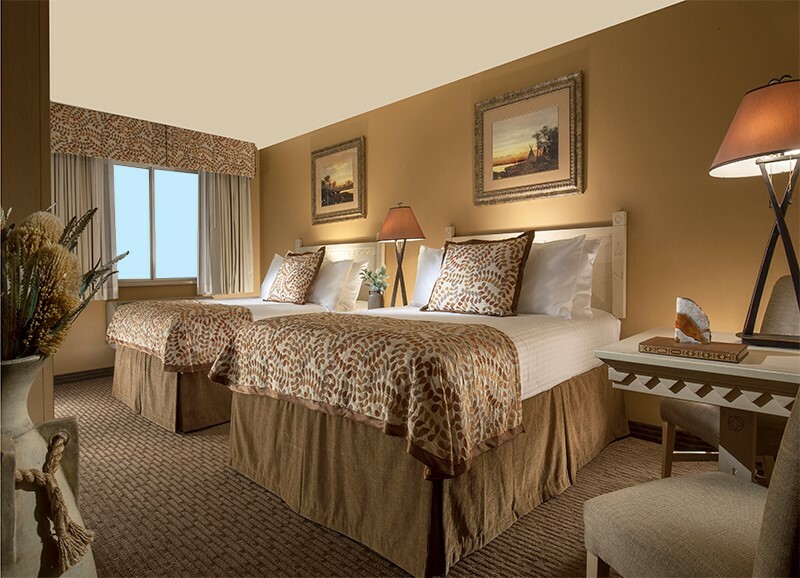 Deluxe Double Queen no pets or smoking rooms are furnished with two queen beds. These guest rooms feature flat screen televisions with premium channels, coffee makers and complimentary wireless internet. Bathroom amenities include complimentary toiletries and hair dryers. Climate control, air conditioning and daily housekeeping are among the conveniences offered. Superior Double Queen no pets or smoking rooms are furnished with two queens and offer a semi private Patio with Red Cliff views. These spacious rooms feature flat screen televisions with premium channels, coffee makers and complimentary wireless internet. Bathroom amenities include complimentary toiletries and hair dryers. Climate control, air conditioning and daily housekeeping are among the conveniences offered. Superior Double Queen Accessible rooms are furnished with two queens and Bathtub with a drop down seat. Offers a private balcony with Red Cliff Views. These spacious rooms feature flat screen televisions with premium channels, coffee makers and complimentary wireless internet. Bathroom amenities include complimentary toiletries and hair dryers. Climate control, air conditioning and daily housekeeping are among the conveniences offered. Mini King Studio Suites no pets or smoking are furnished with a King Bed and a Sofa Bed. 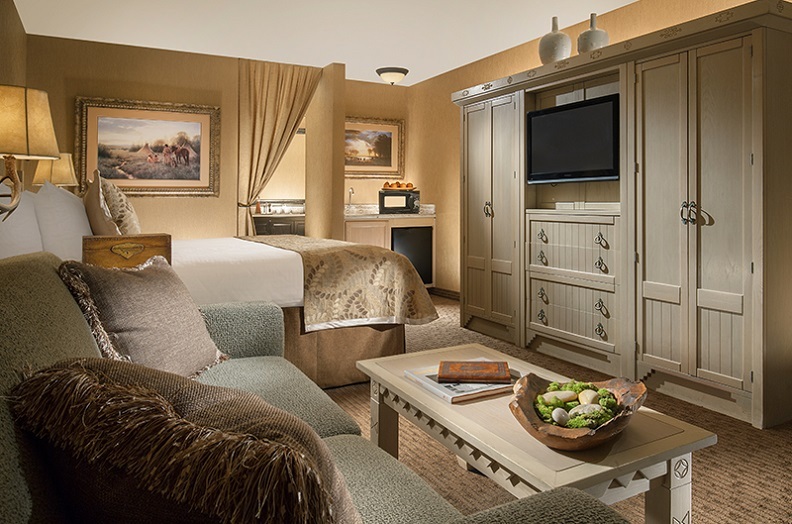 These mini-suites feature beverage cooler and microwave, flat screen televisions with premium channels, coffee makers and complimentary wireless internet. Bathroom amenities include complimentary toiletries and hair dryers. Climate control, air conditioning and daily housekeeping are among the conveniences offered. One Bedroom Suites no pets or smoking are furnished with a King bed with a separating door to sofa bed area and offer a semi private patio. 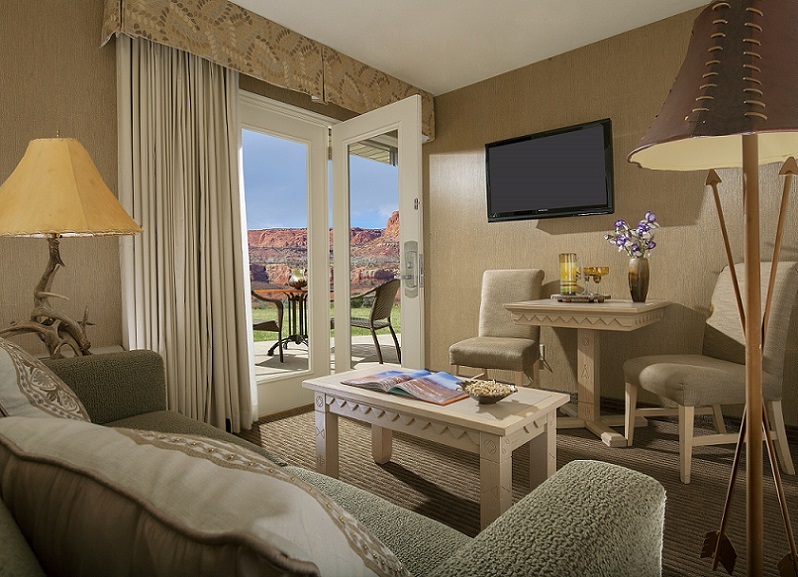 These spacious suites feature beverage cooler and microwave, flat screen televisions with premium channels, coffee makers and complimentary wireless internet. Bathroom amenities include complimentary toiletries and hair dryers. Climate control, air conditioning and daily housekeeping are among the conveniences offered. Mini King Accessible no pets or smoking Suites are furnished with a King bed with roll-in shower. These studio-suites feature beverage cooler and microwave, flat screen televisions with premium channels, coffee makers and complimentary wireless internet. Bathroom amenities include complimentary toiletries and hair dryers. Climate control, air conditioning and daily housekeeping are among the conveniences offered. The stand-alone cabin accommodations provide pure bliss after a day of discovery. The crown jewels of our boutique hotel, these 430 square foot luxury cabins are light and airy thanks to vaulted ceilings and a large picture window. Spacious private verandas outfitted with Adirondack chairs are the perfect place to unwind. 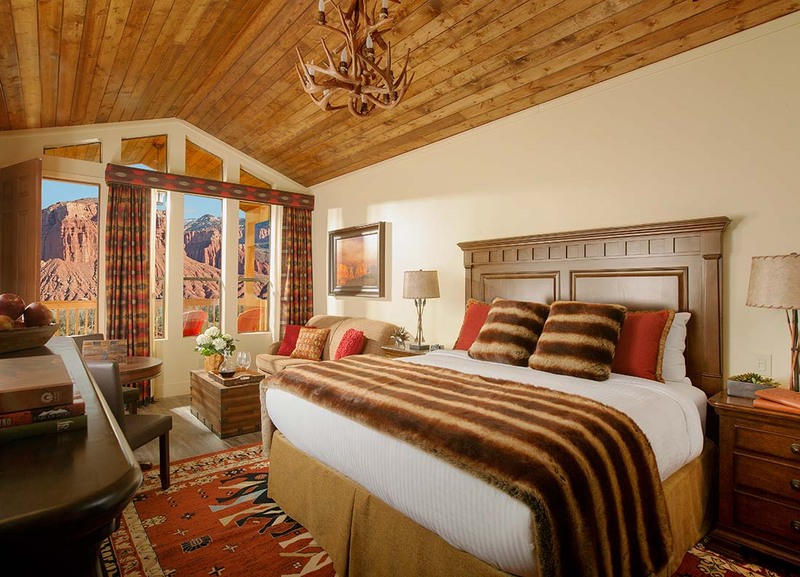 Each Red Cliff cabin is furnished with a king size bed with double pillow top mattress, Queen sofa sleeper, spa bathroom with a rain shower and a 48 inch LCD TV with surround sound. These superior rated Cabins, also includes a refrigerator, microwave, coffee maker, and hairdryer. The stand-alone cabin accommodations provide pure bliss after a day of discovery. 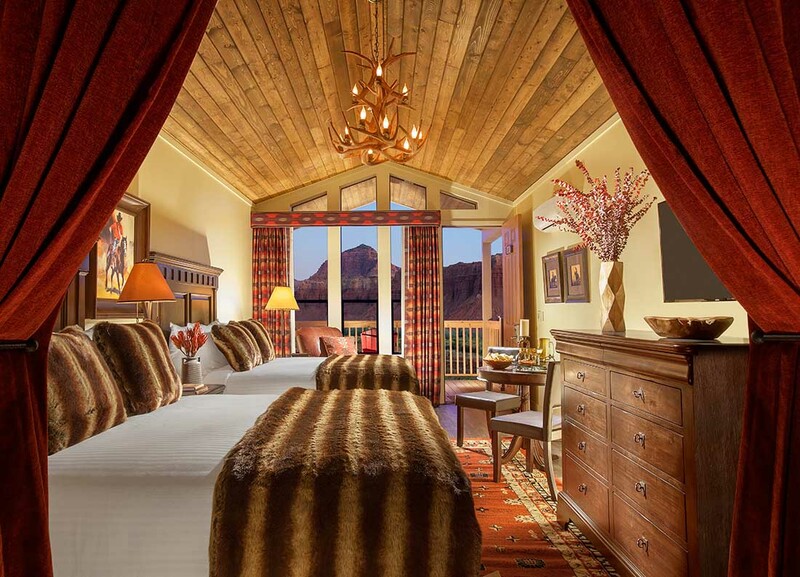 The crown jewels of our boutique hotel, these 430 square foot luxury cabins are light and airy thanks to vaulted ceilings and a large picture window. Spacious private verandas outfitted with Adirondack chairs are the perfect place to unwind. Each Red Cliff cabin is furnished with a Two Queen size beds with double pillow top mattress, spa bathroom with a rain shower and a 48 inch LCD TV with surround sound. These superior rated Cabins, also includes a refrigerator, microwave, coffee maker, and hairdryer. Our two bedroom cabin is a perfect luxury escape for larger groups or families. This 460 sq. ft. cabin sleeps up to 6 guests and offers a full kitchen, one and a half bathrooms, a full kitchen, two bedrooms each featuring a Double Pillow Top Queen size bed and flat screen TV, and a living room with a Queen Sleeper Sofa and flat screen TV. The attached 300 sq. ft. porch offers a large table and a gas grill. 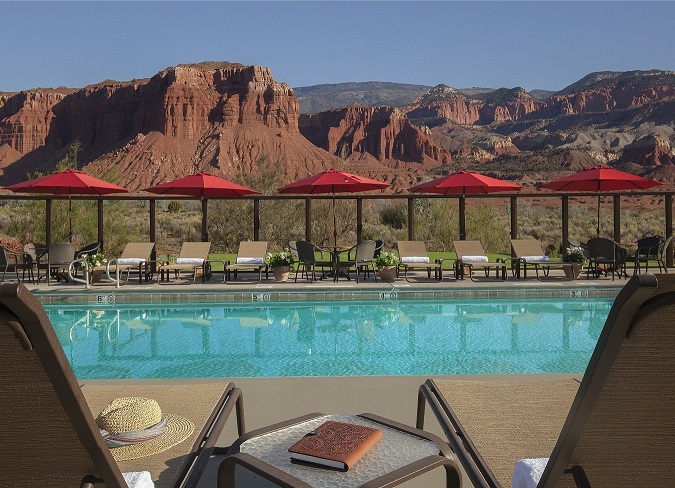 These cabins are the ideal accommodations to relax and soak in the gorgeous view of the Red Cliffs. 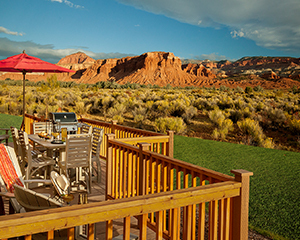 Capitol Reef Resort’s stand alone Red Cliff View King Loft Cabins provide pure bliss after a day of discovery. 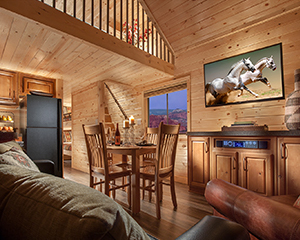 The crown jewels of the resort, these 420 square foot luxury loft cabins are light and airy thanks to vaulted ceilings and a large picture window. Spacious private verandas outfitted with Adirondack chairs are the perfect place to unwind. Each Red Cliff king loft cabin is furnished with a king size bed with double pillow top mattress, a lofted set of bunk beds, spa bathroom with a rain shower and a 48 inch LCD TV with surround sound. These superior rated Cabins, also includes a refrigerator, microwave, coffee maker, and hairdryer.